Hallite 87 strip is a low friction bronze filled PTFE compound produced in a flat tape style ready for easy cutting to size to suit individual applications and is particularly effective in friction conscious applications such as servo cylinders. Hallite 506 can be supplied in spiral lengths, generally in 10 metre, as individual cut bearings and also in 10 metre lengths packed flat in a box dispenser. 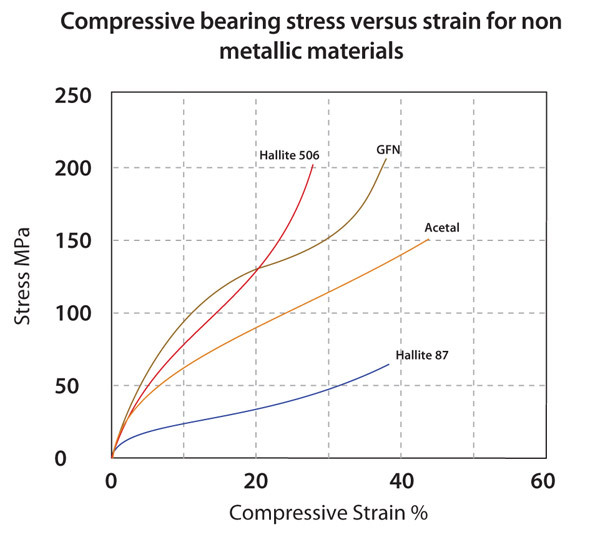 Hallite 506 bearing strip is manufactured to extremely accurate thickness tolerances, ensuring reliable cylinder alignment. Other sizes of type 506 are available on request, special sections and diameters can also be produced to suit individual requirements. As tolerances are not specified “on line” for types 87 & 506, please refer to the information below and on the next page for tolerances as indicated on the product’s data sheet.